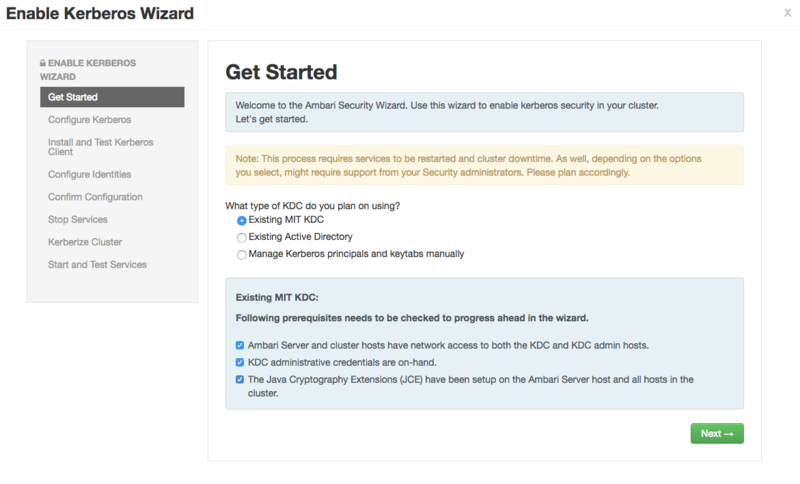 Kerberize the cluster via Ambari. More detailed documentation can be found here. b. 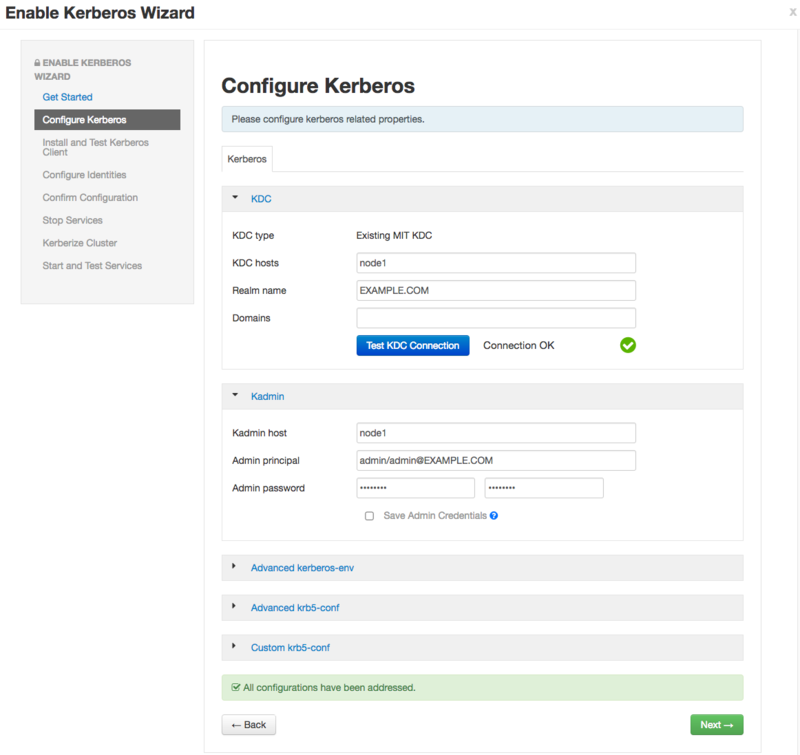 Setup Kerberos configuration. Realm is EXAMPLE.COM. The admin principal will end up as admin/admin@EXAMPLE.COM when testing the KDC. Use the password you entered during the step for adding the admin principal. c. Click through to “Start and Test Services.” Let the cluster spin up. Â© 2015-2016 The Apache Software Foundation. Apache Metron, Metron, Apache, the Apache feather logo, and the Apache Metron project logo are trademarks of The Apache Software Foundation.